Jabari Parker may have won their recent NBA match against the Cleveland Cavaliers (99-98) via his unlikely defensive gem, but another Chicago Bull made headlines for his uncanny resemblance—at least in terms of two highlights—to a legendary predecessor. 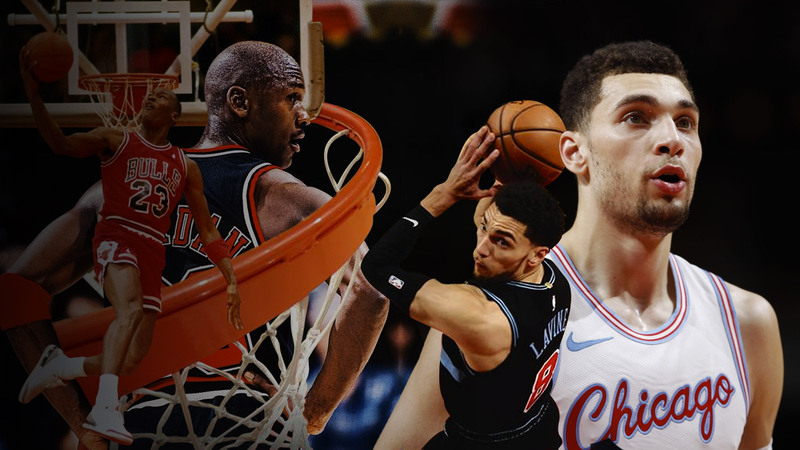 Back-to-back dunk champ Zach LaVine led the Bulls to their fourth victory this season with 24 points, eight rebounds, five assists, and two steals. On top of that, the 23-year-old unconsciously channeled no less than the GOAT, Michael Jordan—pulling off a ridiculous reverse layup, then tipping in a missed free throw. No one is expecting Zach to reach MJ's level, especially after he tore his ACL last year. But after he started the basketball calendar as one of the two Bulls other than Michael with four straight 30-point games, the young guard is proving doubters wrong and making a name for himself. You just have to see those in-game 360 dunks.